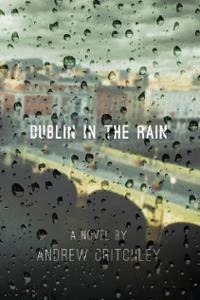 Andrew Critchley's "Dublin in the Rain" is a novel that takes reader on an emotional journey that will have them reflecting on love, loss, and life itself. The novel begins with the troubled Jonathan Melton getting a drink at a Dublin bar, where he meets the sprightly Maolíosa. The quiet scene has a reflective quality to it and is the stepping block for the rest of the novel, which explores how Jonathan arrived at that point in his life. The novel takes the reader through the significant events of Jonathan's life, from his tumultuous childhood to the death of his baby and his divorce, forcing the reader to wonder whether Jonathan, given his traumatic past, can ever fully recover. One of Critchley's strengths is his ability to create dynamic, tangible characters. Repeatedly, the reader meets characters that feel as if they are someone the reader knows well. Because of the strong connections Critchley forms between the characters and the reader, each of the characters' triumphs and trials hits the reader in the heart. Critchley's writing as a whole is beautiful, descriptive, true-to-life prose, with vivid scenes and engaging dialogue. The highlight of this powerful book, however, is that it leaves the reader examining his or her own life. If you are looking for a beautifully written, character-driven novel about redemption following tragedy, then "Dublin in the Rain" is the perfect book for you.